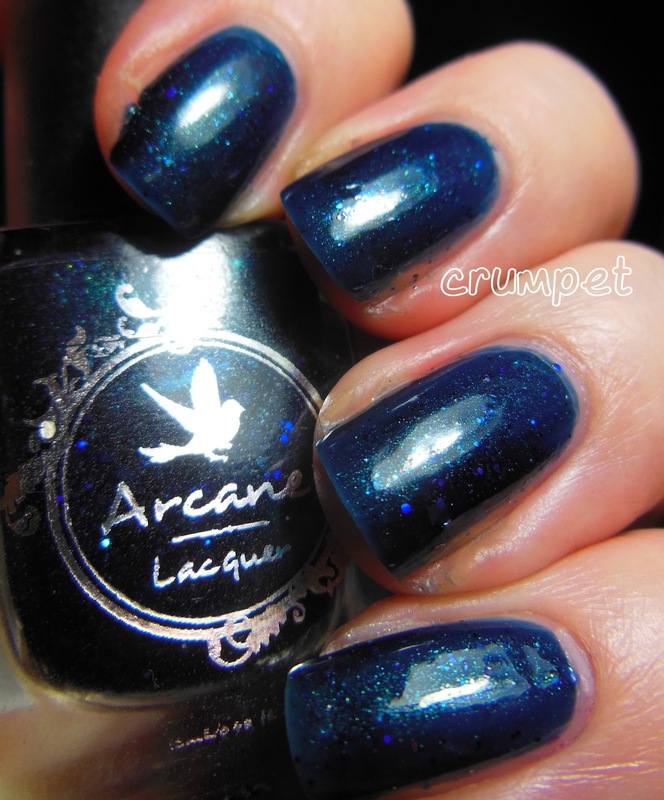 Today sees the conclusion of my reviews on Arcane Lacquer. All 6 polishes were gorgeous, and if you're wondering what might make Arcane different to any other indie, I would say it's in her creative use of shimmer. These are polishes with MANY dimensions and layers that keep revealing themselves as you wear them. The first polish today is Anti Gravity. I think I am going to have to start wearing undies with navy polishes, because this looks really sheer in these photos, and it absolutely wasn't in real life. 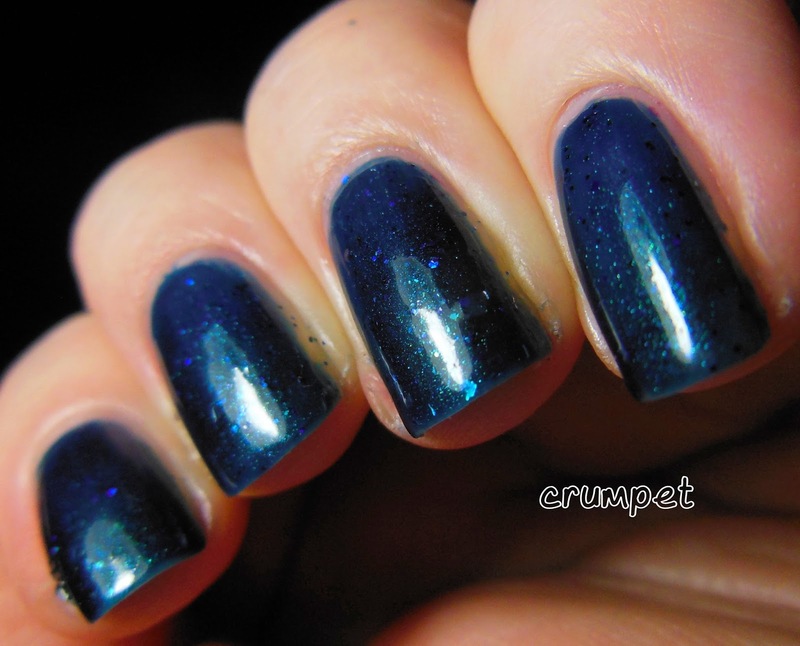 Instead, it's an almost navy with petrol tones, mixed with shimmer and occasional micro glitter. 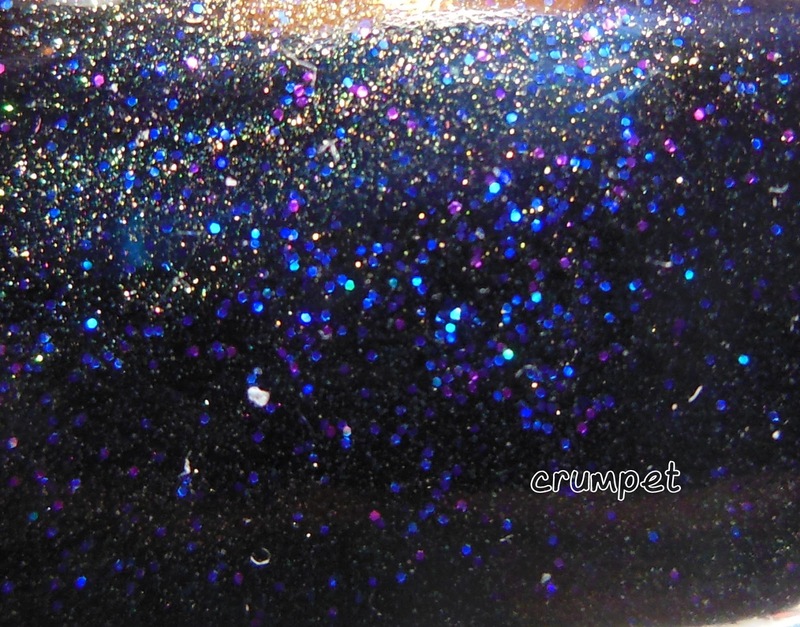 This is not your normal blue glitter - it's a lot darker than what you would usually see, more galaxy than ocean. And talking of galaxy .... Absent Are The Saints (great name) is just ... mind-blowingly gorgeous. I didn't expect to like this one as really dark polishes don't translate well onto my nails, but there is so much magic in this one that nothing could hide its amazingness. AATS has a blackened base, where an explosion of stars has occurred. Gold, purple, blue and green fight for the light as the black hole draws near. 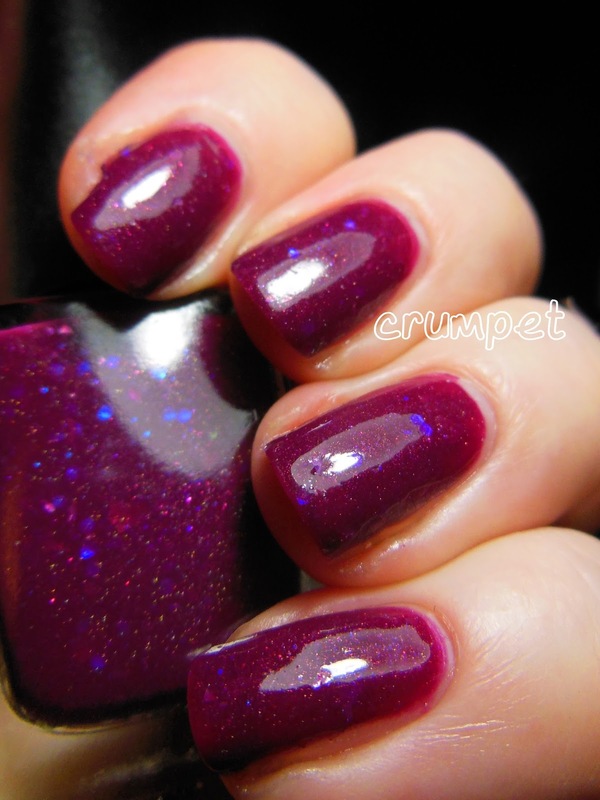 More than any other, this polish highlights the genius of Arcane Lacquer. It's just too beautiful for words. and State of Grace. Regardless, they're all sublime. 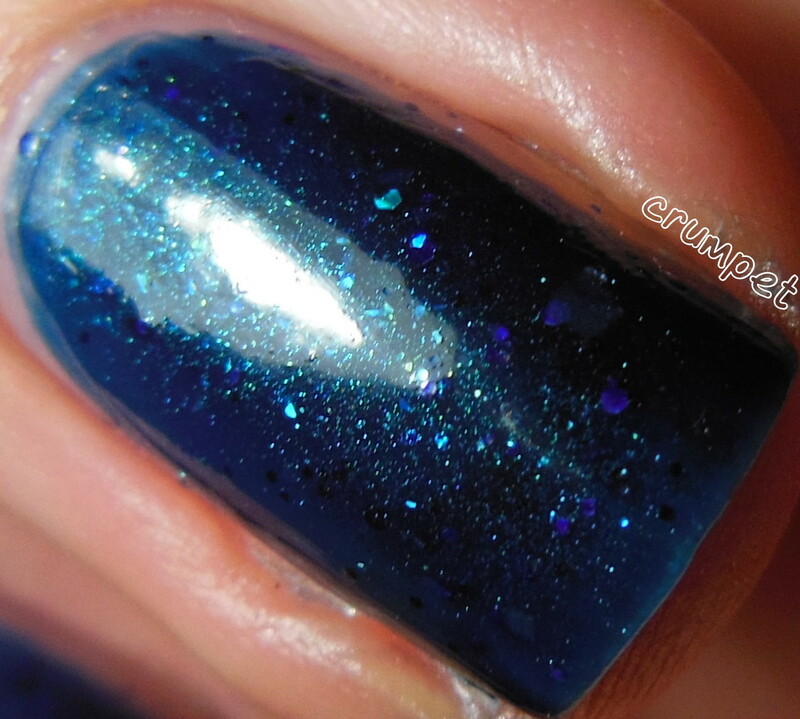 You can buy Arcane Lacquer at various e-tailers, on ETSY and you can visit FACEBOOK HERE.